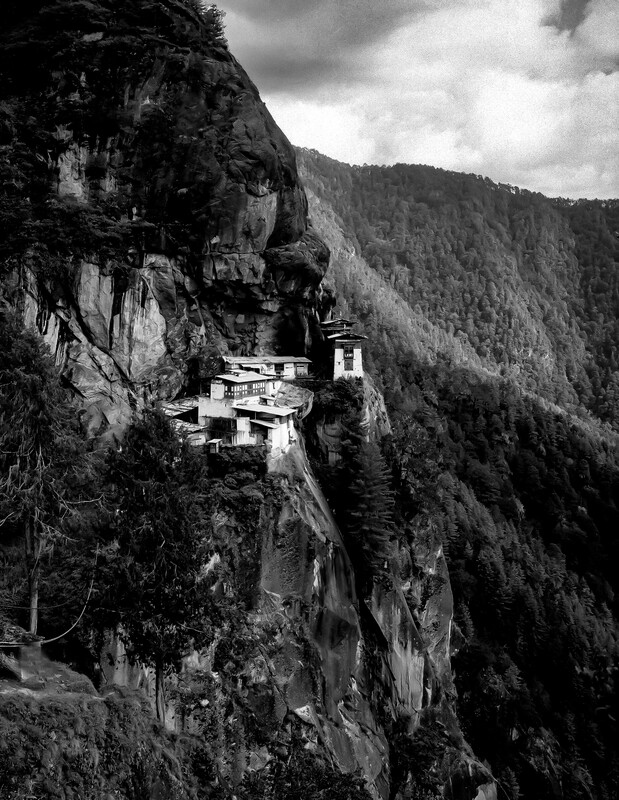 Bhutan, Tigers Nest Temple,1999 - This famous temple in Bhutan is reachable by foot a few hours from the road. After a steep walk up the mountain, I was told that it was not possible to enter it. But as I progressed further toward it, I found in fact that I could go inside the outer buildings. It is picturesque but suffers from a lack of isolation in the true sense. The ambiance is affected by its fame. Its proper name is Paro Taktsang.